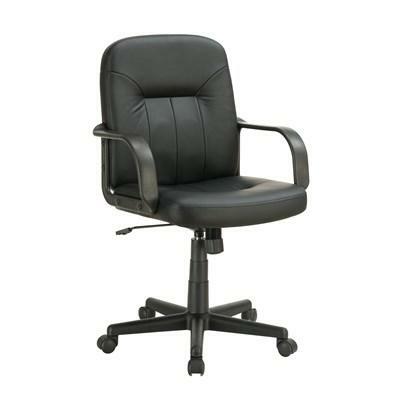 This Office Chair features a back and seat upholstered in black leatherette with double stitching and tufting details. 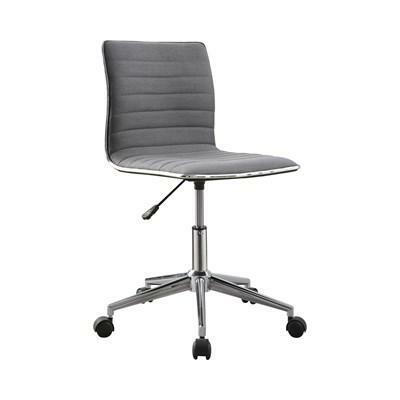 Caster feet complete this design. 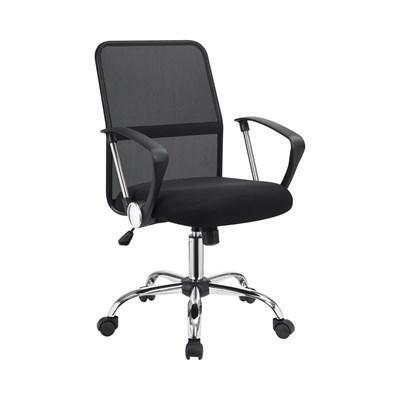 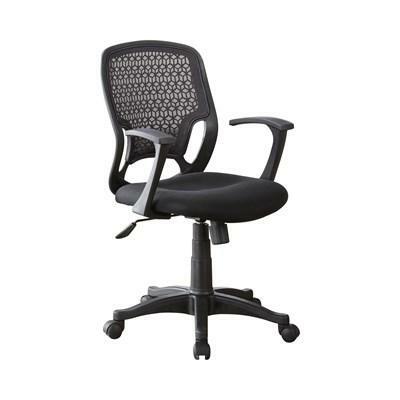 This Office Chair offers a comfortable design with its mesh back, arms, and adjustable height seat with padded seat cushion. 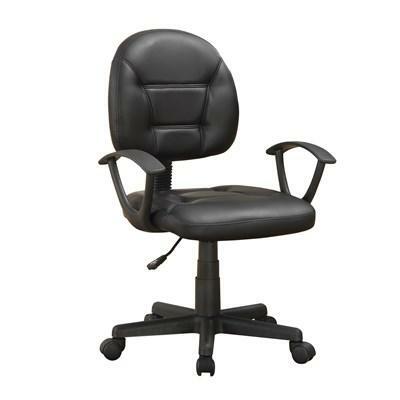 It also has casters for easy mobility. 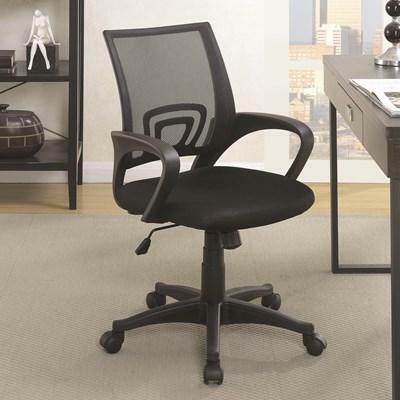 Add a comfortable seating to your home office with this office chair. 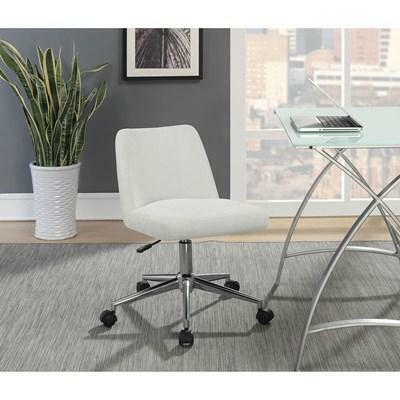 It features a curved mesh back, a padded seat cushion, metal arms, and base in chrome finish. 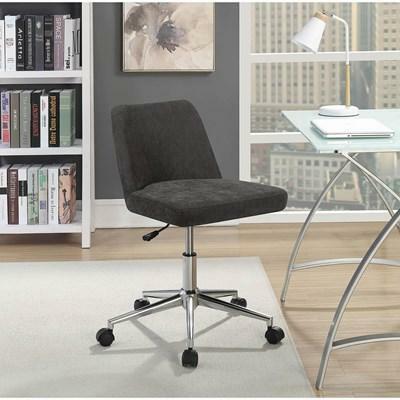 It stands on casters for easy mobility and has an adjustable height feature. 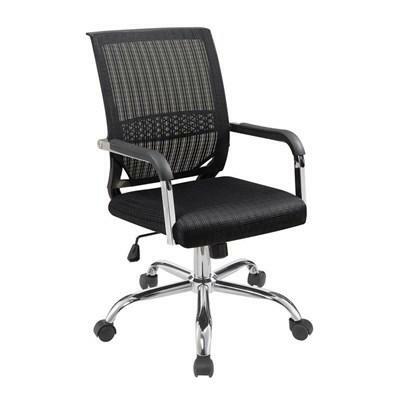 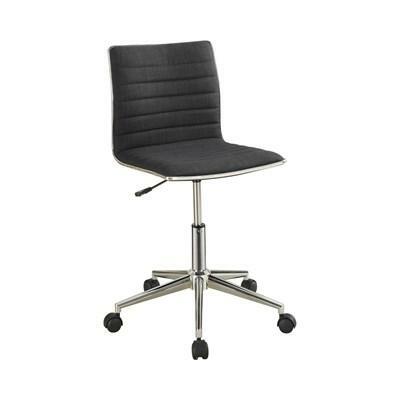 This modern style office chair will make a beautiful and comfortable addition to your office. 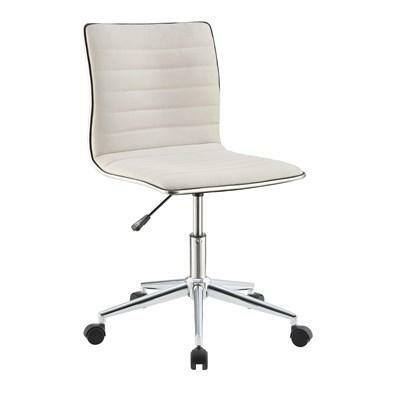 It features a metal chrome finished frame and base, a white upholstered back and seat. 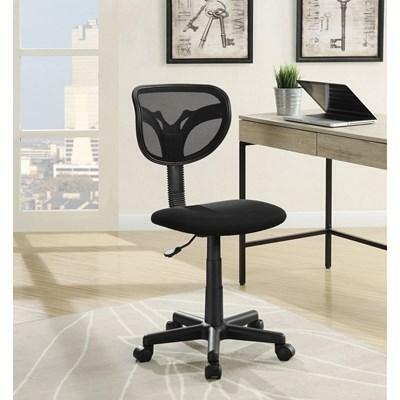 It stands on casters and has adjustable height.